CPBank celebrated the event to promote Khmer tradition​​ through a traditional Khmer costume clothes show contest which received strong support in 2018. Once again this year of 2019, CPBank will also celebrate the big event to continue promoting our Khmer traditional costume during the upcoming Khmer New Year’s holiday season. 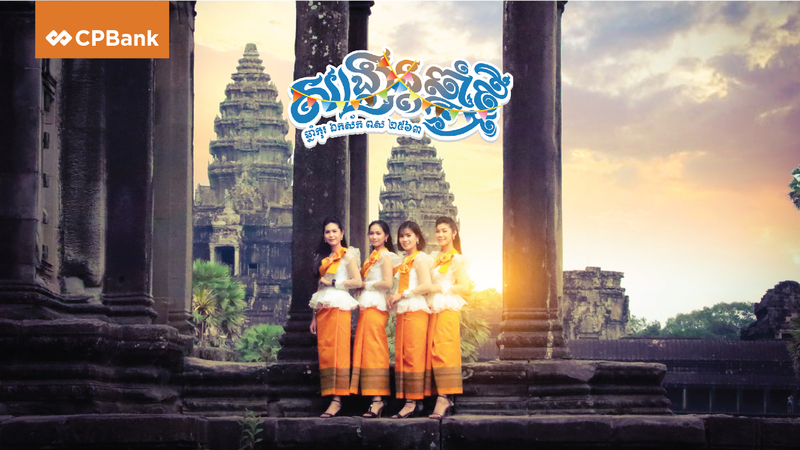 The show contest on Khmer traditional clothes will be held during the event of New Year Sankranti Party of CPBank which will take place on Saturday, April 6th, 2019 from 4 pm – 9 pm in the exhibition hall, Koh Pich (Building I). In this very special event, those who are joining the show contest are all staff of CPBank, so please enjoy the show and give them big support by giving them a vote to a couple whom you love by “Like & Share” their photos in official Facebook page of CPBank.